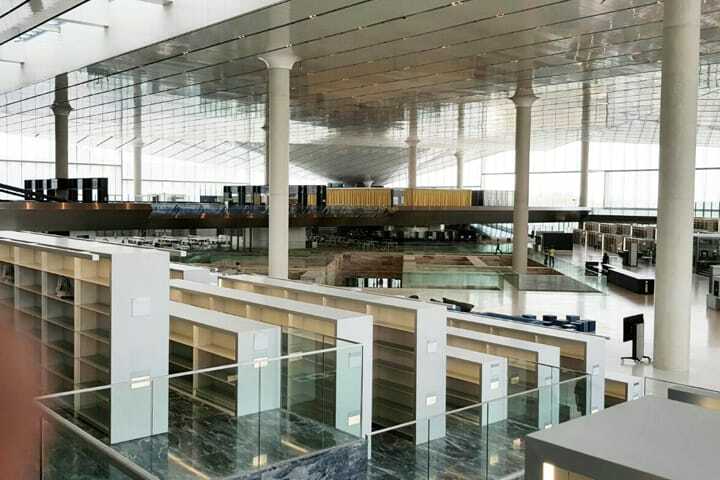 Qatar National Library was looking for an experienced Library Specialist to carry out shelving services for their new National Library of Qatar for its move into its permanent home. 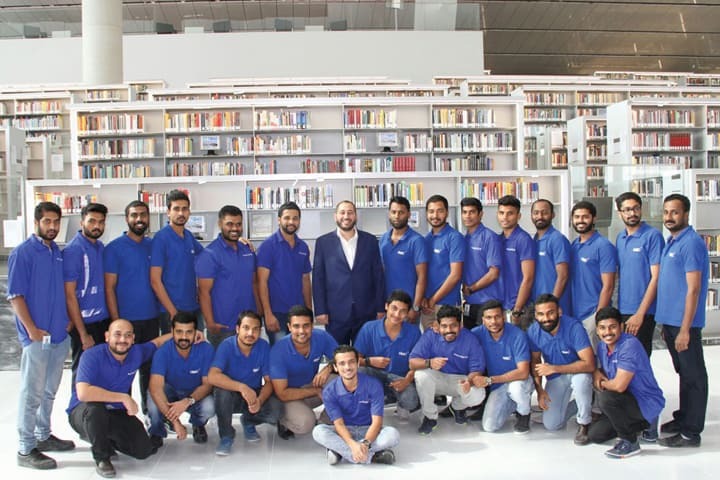 The work involved shelving, re-shelving and shelf reading; also the moving of shelf library materials (brand new stock) from warehouses in Qatar to the new library building. The shelving services included processing, sorting, shelving according to call numbers, move materials as necessary and perform specific collection support tasks. The estimate at this stage was that there would be up to 752, 206 items to shelve during the contract period. All items (bookstock) were to be arranged according to the classification schemes used by the library. 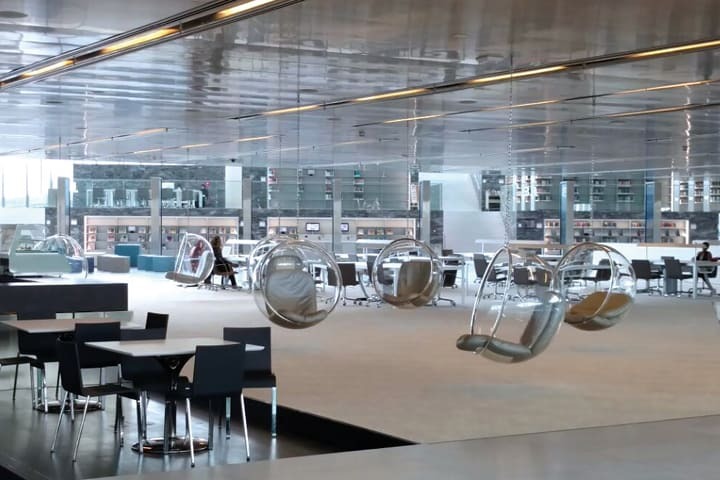 Qatar National Library uses the Library Congress Classification (LCC) for its General Non-Fiction Collections and the Dewey Decimal Classification (DDC) for its Children’s and Young adult Non-Fiction collection. The National Library function collects and provides access to global knowledge relevant to Qatar and the region. It also collects, preserves and provides access to heritage contents about Qatar and the region. The University and Research Library function supports education and research at all levels by providing printed and digital library materials for students and researchers. The Metropolitan Public Library function delivers library services and information for everyone to enjoy reading, meeting people and become information literate. The Library is positioned in Education City (in Doha). 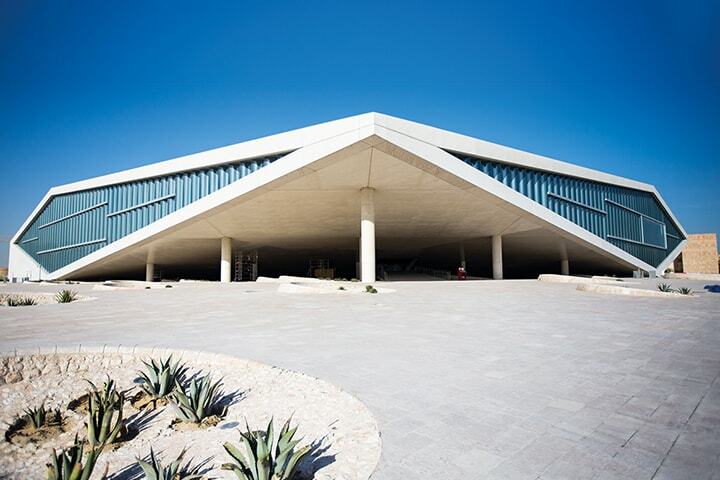 The building consists of 45,000 square metres and is constructed in one big hall with three main terraces. An advanced sorting system using RFID-integrated with the Qatar National Library management system would help to take part of the collection up to the terraces and additional space for the other parts of the collection would be offered by compact shelving areas (rolling rack – able to accommodate over 1,000,000 items as stocks grow). An initial inspection/survey of the Library, by Group General Manager Rob Townroe and Senior Project Manager Paul Simpson, worked to the planned schedule of this job beginning in 3 months time; but whilst in Qatar they were asked if this could be brought forward to start in the next 2 weeks! 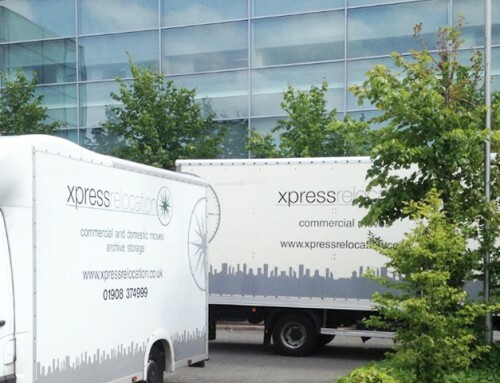 Within 10 days Specialised Movers had sent a project management team to the Library. 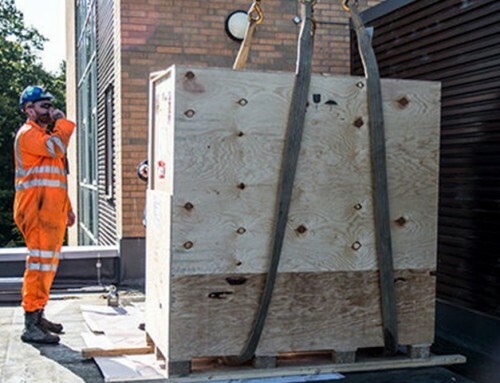 The team consisted of a senior project manager Paul Simpson, Group Training Manager Sean Royle and several Move Managers. The duration of the project was to take place over 15 weeks, and credit to our team they prepared themselves to live in Doha, Qatar working on the project for the full term (albeit they were housed in 4/5* accommodation, provided with transport, and treated tremendously well by all parties associated with the National Library!). The team created the processes required to get the stock on the shelves, using a local team of 25 operatives and endless trucks supplied by a company in Doha, Qatar. 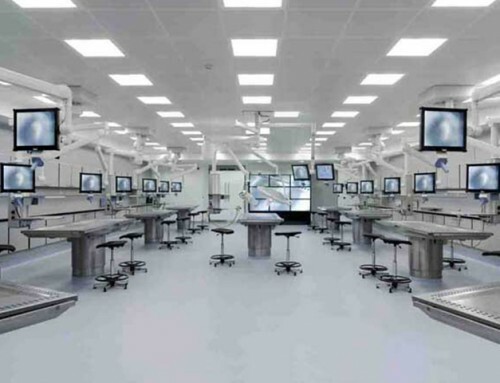 In many ways the setting up of the processes and procedures for the move were similar to creating a type of manufacturing plant from scratch. The local operatives had to be trained in Library Classification systems and how to use the internal conveyor belt systems, and sorting machines. The local transport company had to get the stock to the library in a “Just-in-time” approach, relying on every part of the process working in synergy to make this whole process run smoothly, efficiently and to schedule. 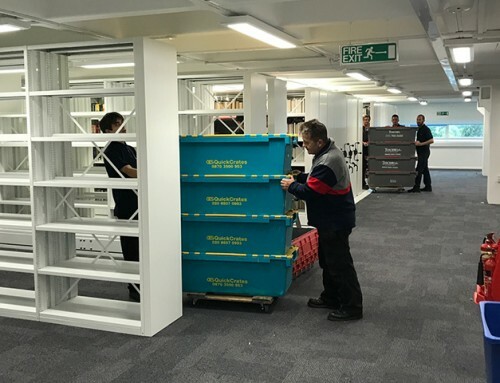 In addition to all the external pressures of getting all parties to work together, there was the added pressures of daily book targets, Quality control and a Library Project Manager auditing and reporting on every aspect of the move. Two weeks before the end of the of the scheduled move, all books were on shelves, in order, and completed to a satisfaction rate of 99.9% (they weren’t allowed to give 100%!). Our crew used the extra time for further quality controls and any additional works they could find to assist the Library Projects. When our crew returned, they each expressed immense pride in their achievements, but also in being associated with such an important project. Their time in Qatar was enriching – living in a different country, learning about different cultures and working with people from all over the world. They loved the country, the food and most of all the people. Returning to the UK on a rainy afternoon, they still had smiles on their faces. Paul, our senior project manager (originally from Barnsley), said that it may be cold and wet, but it’s still better than a temperature of 54 degrees, where even a swim in the sea is like taking a hot bath!